The main aspect of experiencing a smooth VR experience is having a VR ready laptop. If you want to get a new laptop so that you can enjoy some really cool VR games then you have to keep in mind that you have a laptop that is VR ready. A VR ready laptop is going to meet all your VR headset specifications along with helping you get that smooth gameplay in VR that you are looking for. 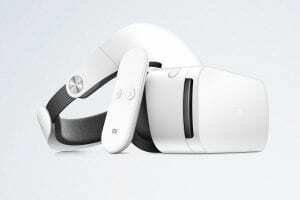 If you are someone who wants to get the perfect gameplay in VR with your Oculus Rift, HTC Vive or the Windows Mixed reality headsets then do consider these recommendations below. The laptops in the list are going, to begin with, the affordable ones to slightly expensive ones as we would try cover most of the laptops that we think are best for VR gaming. There are many laptops that you can get out there that are VR ready but we have handpicked a few that work the best with headsets like the Oculus Rift, Vive and the Windows MR Headsets. This laptop is one of the most affordable and cheap VR ready laptops. This laptop had topped our list the last year and it still stands in the same position. There are a ton of things that you have to love about the Acer Predator Helios and one of the things include the price/feature balance. Coming to the features of the laptop, it weighs around 5.5 pounds and comes with a 1080 HD display which is pretty decent for a gaming laptop. Along with the amazing screen resolution, you get an NVIDIA GeForce GTX 1060 and the battery life is pretty average ranging at 6 hours when idle and around 4 hours when used for gaming. The laptop with a 16 GB RAM and NVIDIA GTX 1060 will be able to run all the VR games smoothly without any issues. You can easily play a few graphics demanding games like the witcher and the tomb raider on the laptop on ultra settings. Overall, the laptop is pretty amazing and works well as a budget VR ready laptop. Now HP Omen is known for its amazing sleek deisng that looks classy and elegant. This series from HP certainly has the looks and some amazing features as well that makes it a great laptop for VR gaming. The model we are discussing today costs around $1000 and it comes with NVIDIA GTX 1060 graphics card and an HD display. The performance of the laptop is excellent with most of the games and you can easily run games at high settings. The performance of the laptop is amazing and you can even run the graphics demanding games easily on this laptop. The only thing that was a tad bit problematic was the battery life. You do get 4 hours of battery life but it is slightly more on other laptops in the list. However, if you are looking for battery life while you are gaming then expect it to be even less than 4 hours. The other aspects of the laptop are pretty good making it the second best on our list. Since we are looking for cheap and affordable laptops in this post, there are going to be a few things that we would overlook and the battery life of this laptop can be overlooked considering all the other features you get for the price. This gaming laptop from Dell is amazing and probably something that you should definitely consider before making your buying purchase. In this cost-effective laptop, you have all the features that you would need for a VR ready laptop and you can easily use it to play games that are graphics demanding. The laptop comes with an Intel i5 Processor along with the NVIDIA GTX 1060 Max-Q which is pretty much enough for your VR gaming needs. If you are not satisfied with the processor then you can go for the i7 version as well as it totally depends on you. Apart from that, the design of the laptop is pretty simple and it resembles the typical Inspiron laptop designs. FOr a laptop at the given price, Dell has done a pretty amazing job of packing it in with all the features. Something that was impressive about teh laptop is the battery life. 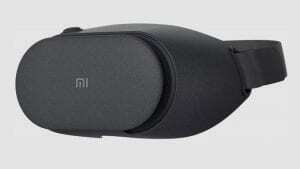 The battery life is around 11 hours when idle and used for light browsing and surfing. On full load, the laptop battery lasts around 5 hours which is pretty amazing considering none of the laptops in the list has the battery life as good as this one from Dell. Being the cheapest in the list, this under $1000 laptop can be one of your best investments. This is one of the budget gaming laptops from MSI and it works pretty well with VR. MSI is known for its quality gaming laptops and this one is one among them. 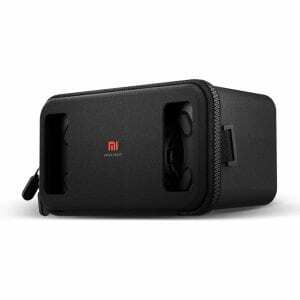 Now, there were a few cheaper alternatives but they would not work with the Vive and hence we have landed on this model from MSI that would easily work with most of the VR headsets. 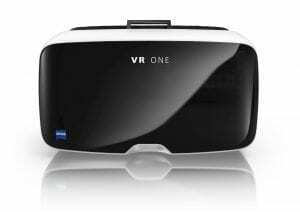 If you are okay to spend around $1000 and slightly more, it is advisable that you go for this model as it comes with the GTX 1060 graphics card which would be ready for all the VR games including the graphics demanding ones. This laptop has an HD display and the beautiful backlit keyboard like you find in most of the MSI laptops. This is probably one of the best laptops in the list since you do get a great price to feature balance here as well. The games run beautifully on the system and the battery life lasts for about 7 hours when idle which is amazing. It comes with some pretty solid specifications that enable it to handle any games that you throw on it. The heat management could have been slightly better on the laptop but it is not a deal breaker so you can still go for it. In the case you are looking for a complete gaming laptop then this one from MSI is just the right laptop to cover your bases. The ASUS ROG Strix Scar comes with slightly different specifications but the entire range is more or less VR compatible. The laptop in discussion comes with the NVIDIA GTX 1060 Max-Q graphics card and can be slightly expensive if you choose higher specifications. You can get laptops around $1000 if you go for the minimum specs that are needed to run VR games. The laptop comes with an amazing HD display. The laptop deisng is pretty elegant as well and it looks like a gaming laptop. If you are someone who wants the amazing look and smooth gameplay then you can take a look at this laptop. Something that was a little irritating was the poor battery life. There are laptops in the list that have done much better considering the battery life. The laptop has a battery life of 5 hours which is not that great looking at all the other in the list. Another point to consider is that the fans can get a little loud. So, even though you do get smooth gameplay without any major overheating, the fan noise and unimpressive battery life is something you should consider. There are so many good VR ready laptops out there so if you think we missed a laptop and we should include it on the list then let us know about them in the comments. These are all our recommendations and do let us know what you think about these laptops in the comments down below!